For the past eight years, in one form or other, and in one place or another, I have written a series on recommended gear. The idea is to find the best set of tools for everyday carry for less than a certain amount of money. Everyone carries a watch, wallet, keys, and a phone. This series focuses on adding a few items to that set of things that will greatly expand your ability to do work and solve everyday problems. The goal is to identify a knife, a flashlight, and a multi-tool that offer exceptional value. By value I mean a comparison of price to performance. This year I am looking at gear in three groups: under $50, under $200, and under $600. I used to do many more price points, including one where the sky was the limit, but I figure these three price points sufficiently cover entry level gear, mid-priced gear, and enthusiast-quality gear. All of the items selected must still be in production and I will use street prices and not MSRP or MAP. 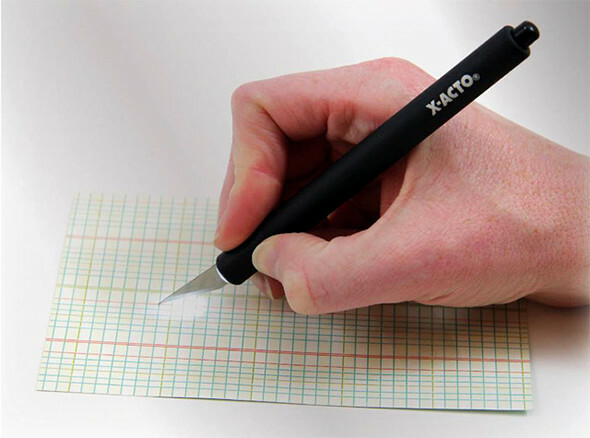 When you are looking to assemble a knife, a light, and a multi-tool for under $50, you are making serious sacrifices in terms of materials, performance, and features. At this price point it is probably better to sacrifice the knife and simply go with a multi-tool that has a knife and a flashlight. You will not find decent steel at this price, but you can find bright flashlights because LED emitters keep getting cheaper and brighter. Finding stuff made in the USA is exceptionally hard, though not impossible. The Gerber Dime is one of the best-designed keychain multi-tools on the planet. It just happens to have fit and finish spottier than a leopard. If you have the ability to handle each unit in person, sort through a few and find the best one. If you can’t and you get luck with a good Dime, then consider it a score. It’s a quite useful multi-tool, featuring a good cap lifter, nice scissors, and a tiny knife with a good bit of belly. The Ultratac K18 is a fabulous 1xAAA light. It hits 380 lumens on a rechargable AAA battery, has a nice side switch, and it has a clever lanyard attachment point that also aids the light in doing a tailstand. Other than the friction fit clip there is not much to complain about and as you can see, it is a great value for what you get. A super persnickety person might dislike the debounce times on the switch, which can be a bit unusual. Note: The newest version of the K18 LED flashlight has a flat bottom, allowing it to stand upright. Shown here is the older version. This one scrapes the upper limit, but for the extra few dollars you get a REAL knife and the aforementioned high quality K18. The Rival I is the first new small Buck design in a long time and it is excellent. Imagine a SOG Flash I with better steel (Buck’s awesome 420HC), a better handle design and no wonky assist. There are other sizes in the Rival line but the Rival I is a great EDC blade size, with a 2.75 inch blade. The K18, recommended again here, is also available in several colors. Note: The newest version of the K18 LED flashlight has a flat bottom, allowing it to stand upright. Shown here is are several older versions (black, blue, red), and the newer style (gold finish). At the $50 price point, you can really only have one nice thing. I wouldn’t spend so much of the budget on the flashlight if it was me – but I didn’t know about the K18 so I appreciate hearing about it. 1. Olight I3e (90 lumens, AAA and <$9 on Amazon). 3. According to my calculations, there’s still room for the Buck Rival you recommended ($9 light + $20 multitool + $20 knife = $49). …though I personally carry a Gerber Moment Folder I bought for about $10. Olight I1R might be worth considering if a rechargeable light is preferred (~$16 and 130 lumens). I don’t think you can get a good multitool for under $50. And then you’ve got $13 left over to save up for a MP600. Actually you can especially on black Friday or before Christmas. That’s how I’ve gotten my leatherman multitools. 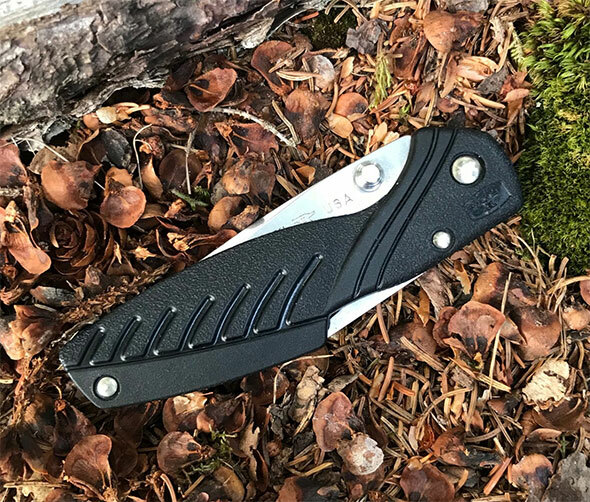 The Leatherman Wingman/Sidekick tools are pretty decent quality, and actually a lot better than many more expensive multi-tools for real-world EDC use. The Rev is ok too, but a step down from the Wingman and not really much less expensive. Heck, sometimes the Rev costs more. I settled on the following and im 95% happy with only a small change probibly coming in the future in the form of a new flashlight. 1. Olight I3E 120 lumen copper body – 20.40 (great light, very cool patina developing but as mentioned its twist-to-close-circuit function is not as functional as a simple push button on off would be – the Adam Savage holy grail. 3. 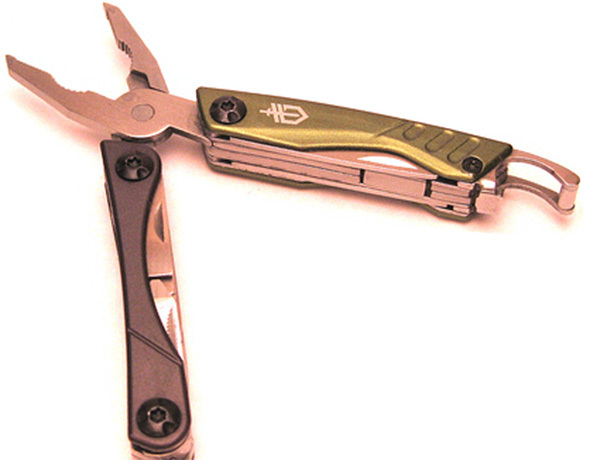 Leatherman style PS – 29.95. This was a big issue for me. I already carry an EDC blade in the form of either a Kershaw Blur S30V, SpyderCo Endura4 or a R2D2 and I fly enough that I dont want to forget that Im carrying a blade and then have to toss a perfectly fine tool. The PS has pliars in place of a blade or sharp extra long scissors that some idiot HLS guard will say are “too long” and need to be tossed. Yes. Exactly my choices too. And for the same reasons. Plus to brunt the rath of capricious TSA workers. I prefer scissors as well, but I have a Gerber Clutch that I used quite a bit, and still bring with me on occasion. The pliers never saw as much use as those on larger multi-tools, but they did come in handy at times. I have a few multi-tools, but I don’t carry any of them in my pockets every day. Too heavy and bulky. And even then, they aren’t comfortable enough for any real use. If I want pliers, I use actual pliers. Hakko makes good mini pliers for about $15. To actually carry around every day, I personally like the Victorinox Classic as my ECD knife. It is beautifully made, quite functional, and utterly non-scary. They come in a wide variety of colors and themes. $19, a bit more for the aluminum scales, substantially more for the sterling silver scales. For the light, I carry the Olight I3E in black (the silver seems to be discontinued.) Durable, fairly sophisticated (it has a Total Internal Reflection lens), and tiny. $10. (The copper version looks cool, but is heavier and more expensive, and doesn’t perform any better.) There are brighter lights, but they are bigger and more expensive, and if I need a real flashlight, I’ll carry a real flashlight. $30 total. Both go on my keychain, and are imperceptible in the pocket. I wear a cargo pant daily yet I hardly carry any multitool with me. I almost always have one fairly close like in the car and in a drawer in my office. I have a wave in the car and a wingman in the office. For cheap light, Harbor Freight is a pretty good source. Their do have very decent light for under $10. For worklight, they folding light is a great deal. It was a pleasant surprised to find a rechargeable LED folding worklight for under $30. To top that off the light use an 18650 battery! It doesn’t get any better than that. My recent EDC pair of actual pliers (minis) are from non other then Channelock No. 524 the Little Champ. They’re made in the USA also. 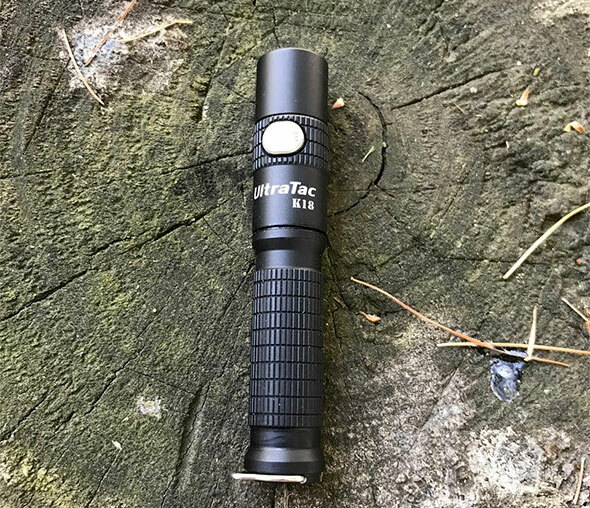 This post got me curious about the Ultratac k18, as I just purchased several Streamlight Stylus Pros as stocking stuffers based on Toolguyd reviews. (I really like it, but agree that the button is quite difficult to press). I searched the Toolguyd archive, and couldn’t find any previous mentions or reviews of the Ultratac k18..
Also, note: when clicking on Amazon link provided, the Ultratac 18 is listed as $19.99 (not $29.99) for the the 1-AAA version. A USB-version is listed for $29.99. Despite my recent purchases, I’m always on the hunt for a new favorite compact EDC light, so would appreciate any comparisons of these two. Sorry, that’s my fault. I added another link – one for the rechargeable version, one for the other. If going for the AAA, it’ll be best to pair it with a lithium or rechargeable NiMH battery. Alkaline batteries don’t do as well with higher power/brightness LED flashlights. I think your Stylus Pro is as good if not better purchase for the money. A lot of people get hung up on lumens and lumens are good. But for me, personally, I’d take less lumens and more runtime. That Ultratac k18 at 370 lumens is good for about 20 min. If you have much of an emergency, 20 minutes isn’t going to cut it. The streamlight is supposed to be regulated but I don’t know if the Ultratac is or not. Agreed, lumen is not everything. Though I would argue that adjustable lumen is king :). I am not talking about the run of the mill multimode flash light but the infinite brightness adjustment via a dial or slider. The ability to dial in the exact brightness help my eyes to see a lot better as I get older. For the typical multimode flash light it does help to have a max brightness mode when you need it. I do agree with you that for every use almost any brightness will do especially for a keychain size flashlight. For more runtime I think the 18650 platform would be a much better candidate. For a small EDC light, I recommend the Olight S15R or its successor. You can get them for around $30. Has a magnetic base, a USB-powered charger (the magnetic base doubles as the charger connection…just set the light on the base) and is rated up to around 300lm I think. I keep one at my desk at the office and one in my bag. I’d agree on the Gerber Dime at $16, but would recommend this much smaller USB rechargeable flashlight also at $16 ( https://www.amazon.com/Flashlight-Keychain-Rechargeable-Brightness-Achieve/dp/B06XSX9T43 ). I’ve got one and it’s awesome, that leaves plenty of room for the most useful knife you can edc – a screwpop utility knife at $10 (https://www.amazon.com/Screwpop-Stainless-Multi-Tool-Carabiner-Attachment/dp/B00UZHT432 ). That brings the total to $42. Oh and if you can still find one, the mini buck 350 is smaller than the Gerber, has scissors and pliers and even labels the tools. I made the mistake of googling Gerber 350 and Gerber mini buck and found nothing. Then I googled Gerber Gerber mini buck 350 (as you had written it) and found a review. Much to my surprise, I have one! I always felt the pliers head flipped to the side too easily during use, and it was a bit fiddly. However, my Dad bought it for me on a trip to Maine together at the Kittery Trading Post, so it will always hold a special place for me. He’s 85 now, and we no longer take trips. Thank you for bringing back that memory. I’ll be getting that mini Buck out to carry for a while. Ooh, I like that little USB rechargeable flashlight. I’ve never seen anything like it. I’m putting it on my short list. I’ve managed to get these for far, far less, $20 for the Wingman and $4 for the Solitaire. I wonder if, Instead of buying two medium (or to be honest, LOW) quality items, one is better off getting something better, such as Coast HP8R and a Milwaukee Hardline 3.5″ knife. It’s definitely more money but since both can be found on sale for roughly ~$60-$70 each (which, again, is more than $50, I get it, I understand numbers, thanks!) in exchange you get ten times the quality and will be able to use them for much longer than the products mentioned in this post. I speak from my own experience: the flashlight itself is worth the total price of both items, being a rechargeable, 700 lumen unit that comes with both a li-ion pack AND AAA battery-powered one, as far as the knife goes, well, it’s awesome! It stood up to my abuse for four years now, never skipping a beat, the D2 steel, although not stainless, takes a lot of abuse and doesn’t rust easily, constrary to what people think but the main party piece is Milwaukee’s ball-bearing flipper opening mechanism make a big difference when you only have one hand to use, not worrying about sharpening it constantly is also a big plus. My uncle always says that he is way too broke to buy cheap stuff and I definitely share his opinion on buying something on sale and hoping that it might work vs. getting higher quality goods from the get go and not dealing with the side effects of the manufacturer having cut corners due to high competition in the market place and low profit margins. These are just my $0.02. I’d like to point out that I’m aware of the price point, having said that I don’t believe that you can buy a decent edc OR a good flashlight for $50, separately that is, trying to buy both for this minuscule amount is a mistake and a waste of money, unless you don’t care what you get but, again, why bother doing research in the first place, right? I’ve been EDCing two of the newer HF LED flashlights (QFL-588 and QFL-065) for a couple of months now and have nothing bad to say. And I was looking for all the bad. If not limited to Amazon. Not sure on multitool options, over here in the UK would be a Victorinox off Amazon, they seem cheaper over here than the US. Guess it’s because their made in the EU. I picked up a Coast G19 to replace my ITP A3 that I have carried forever, until I find a better light. I purchased it because it had a single click button on the back. I got sick of my ITP falling apart in my pocket all the time because it was a twist-on type. The G19 is a little bigger and has a weird circular spot, but it’s lasted me more than 3 hours on a rechargeable AAA.